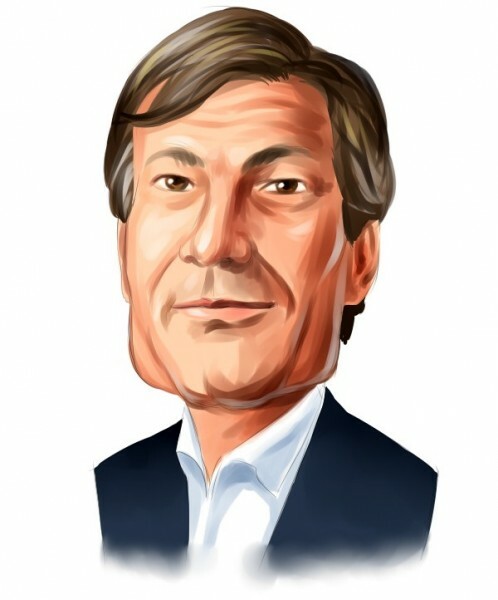 Valueact Capital is founded by Jeffrey Ubben, 49 years old, in 2000. Prior to founding Valueact Jeffrey Ubben served as a managing partner at Blum Capital between 1995 and 2000. Prior to joining Blum Capital Jeffrey Ubben managed Fidelity Equity Fund at Fidelity Investments, where he spent 8 years. Jeffrey Ubben has a B.A. degree from Duke University and an M.B.A. from Kellogg Graduate School of Management at Northwestern University. ValueAct Capital does not indulge in shorting. The firm makes three to four new investments in a year. Typically, ValueAct has approximately 15 to 20 holdings which it holds on to for three years on average. As of June, ValueAct Capital’s 13F equity portfolio is worth over $5 billion. ValueAct Capital’s largest holding is Motorola Solutions Inc. (MSI). Jeffrey Ubben bought 16.5 million new shares of MSI in the second quarter and allocated about 19% of his 13F portfolio to this security as of June 30th. Unluckily, the stock lost 3% since then. Carl Icahn was another investor with a very large position in MSI as his Icahn Capital carried $1.8 billion worth of MSI holdings on June 30th. Carl Icahn increased his MSI holdings by 25% in the second quarter. The second biggest ownership on ValueAct Capital’s portfolio was Valeant Pharmaceuticals (VRX). Jeffrey Ubben continued trimming his VRX holdings in the second quarter also. He had sold 7.3 million shares during the first quarter and sold 4.5 million more during the second quarter. From 27 million shares he held at the end of last year, Jeffrey Ubben trimmed it down to 15 million at the end of the second quarter. Meanwhile, VRX’s return since the beginning of the year has been enourmous: 49.6% despite that the stock lost 22% since the end of the second quarter in the midst of the market turmoil. We see Glenn Greenberg’s Brave Warrior Capital being bullish on VRX and increasing its equity holdings by 48%. Glenn Greenberg had added the security onto his portfolio during first quarter of 2011. Unfortunately, he lost around 22% from the security since the end of the first quarter. VRX has been losing value since the end of the first quarter after returning an enourmous 73% in just the first 3 months of 2011. Jeffrey Ubben made a nice return from Immucor. Immucor has been acquired by TPG Capital for a 30% premium on July 5th (paying $27 a share). Jeffrey Ubben’s Valueact benefited most from the deal as the other funds had very little in Immucor. In terms of percentage, the greatest loss ValueAct Capital incurred was with Alere Inc (ALR), where the stock lost 36% since the end of the second quarter. Jeffrey Ubben’s loss could exceed $55 million had he still carried these shares on September 6th. Seth Klarman’s Baupost Group and Brookside Capital could have shared the same destiny as Valueact Capital on VLR security. The overall loss of Jeffrey Ubben’s 13F portfolio has been 12.9% since the end of the second quarter, vs. 8.4% loss for the SPY. ValueAct is a hedge fund with a long-term focus, this may be a good time to imitate ValueAct Capital’s top stock picks at a big discount.